Show me a parent of a little who doesn’t struggle at least a small amount with getting their small children to eat veggies and I’ll show you a very, very, very lucky parent. Although I feel like my boys are pretty well-rounded (something I thank baby led weaning for every.single.day) I’d be lying if meals weren’t sometimes a struggle. If it were up to Owen, he would eat bananas and cheese sticks all day long, and Ryan is following his momma’s footsteps in becoming a devoted lover of all things pizza and mac and cheese. While I’m all for balanced eats – I try not to make things ‘off limits’ for my kids as to not create a weird relationship with food – it’s easy for their diets to quickly tilt towards too many carbs and cheese and not enough veggies. 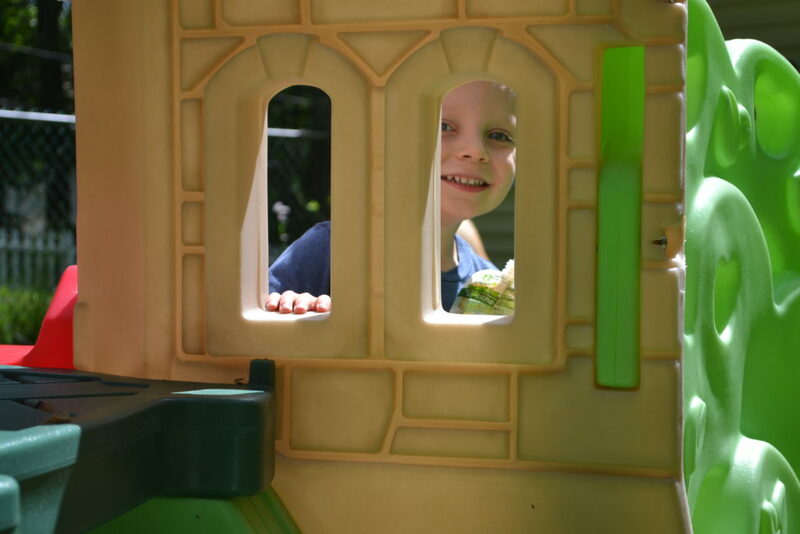 On days (okay, weeks) when you’re just trying to keep the kids happy and alive without losing your mind, it’s easy to just give them whatever will keep ’em happy and quiet for as long as humanly possible in order to buy yourself a few minutes of sanity. I’ve been there. It’s not a fun place to be. But even with the craziness that can sometimes be raising 2 little boys while trying to keep my ish together, I try my hardest to make sure their meals are balanced and packed with nutrition every single day. And you know what? I’m not ashamed to admit that I often take the path of least resistance. Oh, yeah, I totally trick my kids into eating kale. Yes, I make sure to offer at least one veggie in its natural form with each meal (even if they don’t touch it) but knowing that I’m not going to want to spend 2.5 hours at the dinner table asking Ryan to take one more bite of broccoli, I also try my best to sneak in the good stuff in some other places throughout the day. Because let’s be honest, anytime I ask Ryan to do just about anything these days, this is the face he gives me..
Today I’m sharing some of my favorite ways to get my kids to eat their veggies – whether they know it or not! Here’s the thing – purees will be your best friends. Yes, I’m talking baby food. You can either buy the stuff pre-made or make it yourself, but I depend on purees a lot in our house, even if I never really gave my kids baby food when it was ‘time’ to give them the goo. (check out my baby led weaning page to find out more!) 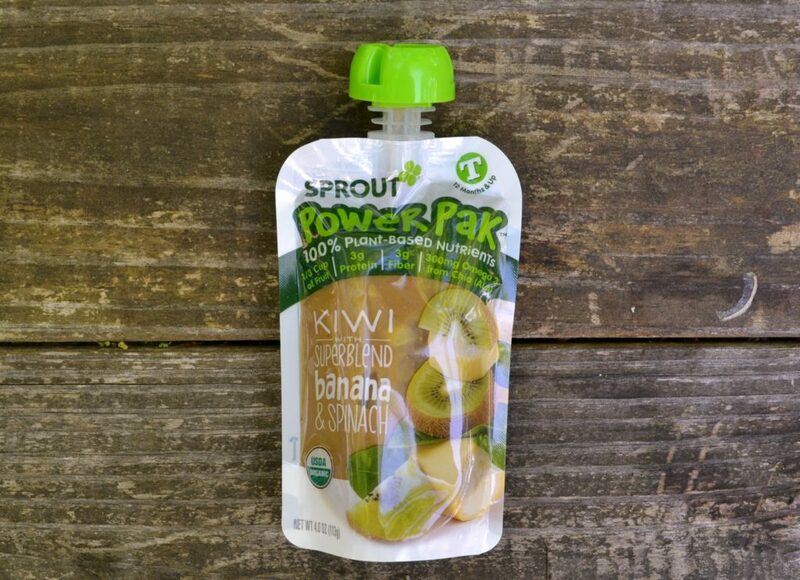 I’m a HUGE fan of pouches – especially those made my Sprout. 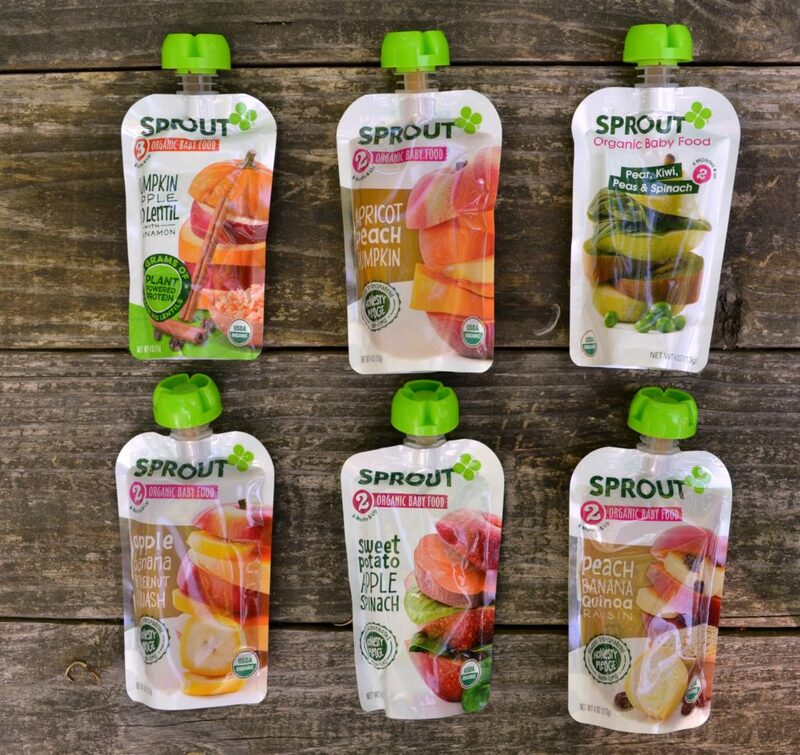 Did you know that Sprout was the first brand to put baby food into pouches? I’m pretty dang grateful for that since my boys tend to think pouches are ‘treats’ (ha!) even if they’re secretly filled with nutritious veggies and plant-power. There are two kinds of purees – savory and sweet. Obviously, my kids enjoy sweet purees most, but even when I’m buying sweet, fruit purees I make sure to buy or make them with veggies. 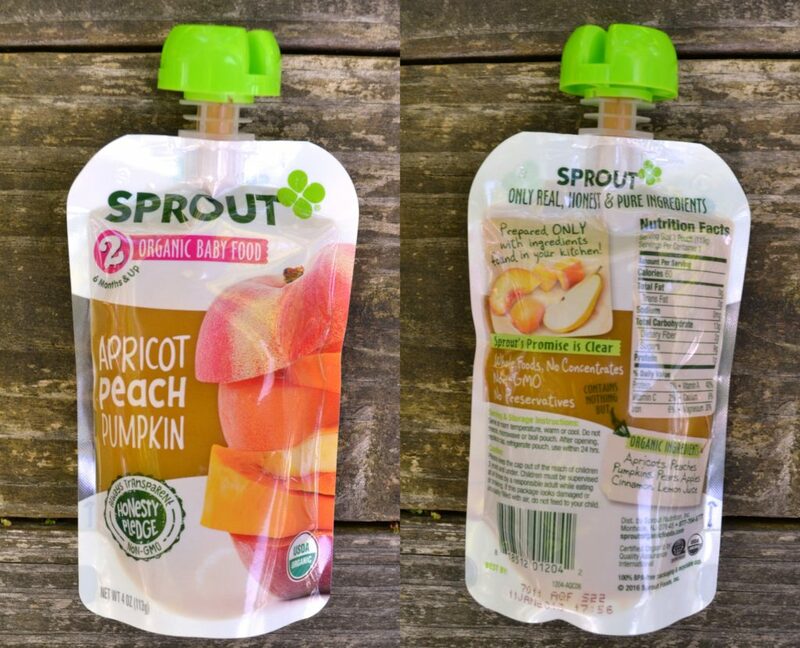 Sprout makes a ton of varieties of pouches, like apple, sweet potato, spinach or pumpkin, apple, red lentil that offer tons of plant power in the form of fruits, veggies, and wholesome grains and legumes. They offer a variety of non-GMO and organic products, none of which include artificial ingredients or preservatives, fillers, or thickeners. Sprout is the only baby food company to pledge the names of their varieties match the primary ingredients in the recipe. Basically, what it says on the front is what’s on the ingredient list – an apricot, peach, pumpkin pouch includes those items as the primary ingredients on the back. 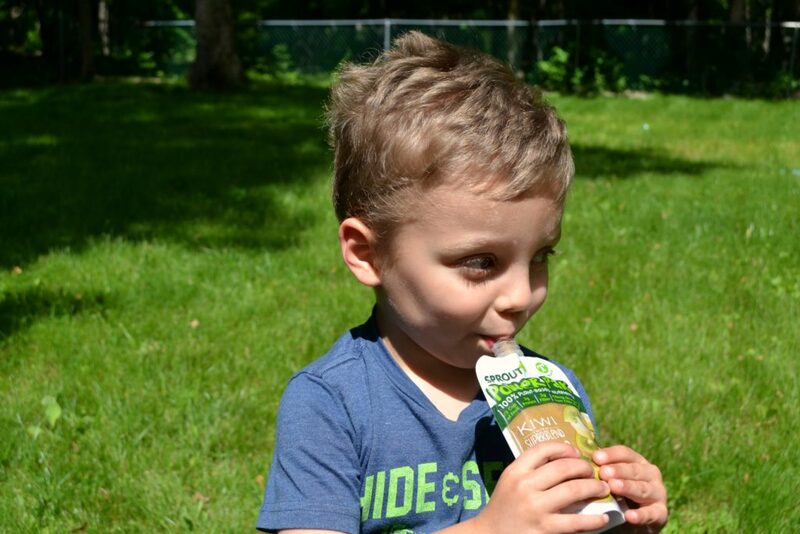 So let’s talk about using those pouches in different ways – while I love giving the boys pouches as a snack on the go, it’s obviously not reasonable to have a 3-year-old only get his nutrition from a pouch! I love to use what’s inside the pouch in different ways to ensure Ryan and Owen are getting all of the awesome plant power these pouches offer. Pasta sauces. Stir in a some to your normal old pasta sauce – the tomato, garlic, and cheese will overpower most if not all of the flavor. I like to add carrot to tomato sauce or spinach to pesto. Savory veggie dip. Is your kid a fan of ranch dressing? Try adding some puree to Greek yogurt and serving it with cut veggies. If they’re still not a fan, feel free to add some ranch dressing powder or bottled dressing to mask the flavor some more. Meatballs. Not only will your kids not know that you’ve added kale to every kid’s favorite food, but the puree will add moisture to the meatballs. Breads. Making a quick bread? Replace some of the wet ingredients with puree – usually, the replacing of some oil with a puree is your best bet. Kids love them some carbs, you’ll love that they’re eating veggies. Scrambled eggs. I don’t know about you, but my kids almost always leave a solid tablespoon or two in their pouches. If you’ve got the same problem, add it to your eggs when scrambling them before cooking. Add some ham and you’ve got easy peasy green eggs and ham! Fritters or pancakes. Everyone loves fritters and pancakes. Add some puree to your next corn fritter or batch of pancakes. Your kiddos will be none the wiser. Mashed potatoes. Make mashed potatoes more fun by adding some puree – beets will turn them pink while kale or spinach will turn them a cool green! Add to a smoothie. The classic veggie hider, there’s a reason parents love smoothies so much. Easily turn a puree into a quick breakfast or snack by adding it to a smoothie to bulk it up and add tons of nutrition. Condiments. Got a ketchup lover like me? Stir equal parts of ketchup and puree (if your kiddo is finicky, ease into it by adding in more ketchup) before serving along side fries. Got a sweet puree? Add them to..
Make sure you grab the kind with veggies hidden in since if your kiddos are like mine, getting them to eat fruit is no big deal. Yogurt. Swirl some puree into their morning yogurt. I also like to do equal parts yogurt and puree before spreading it on toast, pancakes or waffles for a quick breakfast. Spread on top of waffles or pancakes. See above, but also try peanut butter and puree for a fun twist on a PB&J. Freeze into dots. We’ve all see the Greek yogurt dots all over Pinterest, but you can also do the same thing with pouches. Take your pouch and a silpat or parchment lined cookie sheet and make dots of the puree before freezing. A fun and easy treat to cool them down this summer, plus a fun way to practice fine motor skills. Add juice and make ice pops. Same idea – add a pouch to a cup of their favorite juice before pouring into ice pop molds for a fun and nutritious spin on a summer favorite. Add to milk. I make Alex a smoothie every day and on days that I don’t make enough for the boys, I simply as a bunch of milk to the blender and swirl it around to pick up the smoothie leftovers. We call it ‘strawberry milk’ since it’s usually a strawberry banana smoothie, but I do the same thing with puree leftovers. It just adds a bit of flavor and extra veggies to their milk. Sweet fruit dip. Equal parts sweet puree and yogurt make for a fun fruit dip for an afternoon snack! Top oatmeal. If you’ve got oatmeal lovers, skip out on your normal sweetener and swirl in some fruit and veggie puree for breakfast! Baked goods. Making banana bread? Substitute some of the mashed banana for the equal amount of fruit and veggie puree. Lastly, choose snacks that at plant powered! Like I said before, I love giving the boys a pouch as a quick snack in between meals or while we’re out. In fact, if you catch me out shopping with the boys, chances are they have one – more often than not I head right to the baby food aisle and grab two to buy myself a few moments sans whining. For Owen, I tend to stick to the normal stage 2 baby food pouches to get him better acquainted with all of the different flavors the world has to offer. He really digs the Peach, Banana, Quinoa, Raisin one Sprout makes the most! For Ryan, I’m loving the new Stage 3 Baby Food Purees and Power Pak Toddler Purees that Sprout makes. They deliver protein through plants, acting as a healthy alternative to meat and dairy-based protein for families, so I find them to be the perfect balanced snack! The currently come in 4 flavor combinations and Ryan is loving the Kiwi, Banana and Spinach superblend. Another is finding a crunchy snack that is secretly packed with plant power. 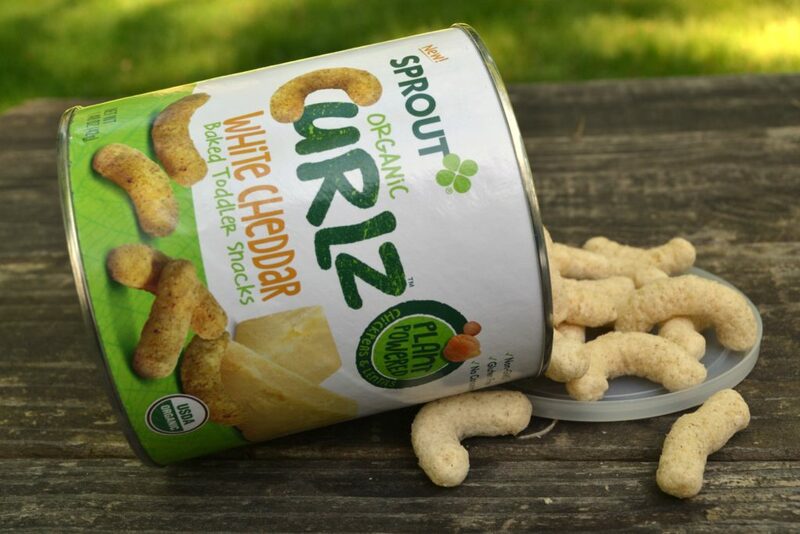 My boys love snacks that I can toss in a cup and they can munch on, so I’ve been stocking up on Sprout’s Curlz. Curlz are baked toddler snacks made from chickpeas and lentils, providing a healthier snack for toddlers – something that can sometimes be hard to master! My boys love anything cheesy, so the White Cheddar flavor has been going on repeat around here – they pack a much better nutrition punch than the typical cheesy fish crackers! 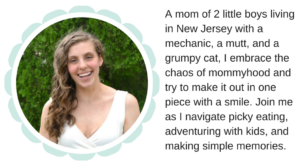 As a parent, it’s your job to ensure that your kids are enjoying the world around them and becoming adventurous little people while still nourishing their bodies and minds. This starts on their plate! Simple changes can change the way you and your family see food and nutrition and brands like Sprout can easily help to create healthy, adventurous eaters! 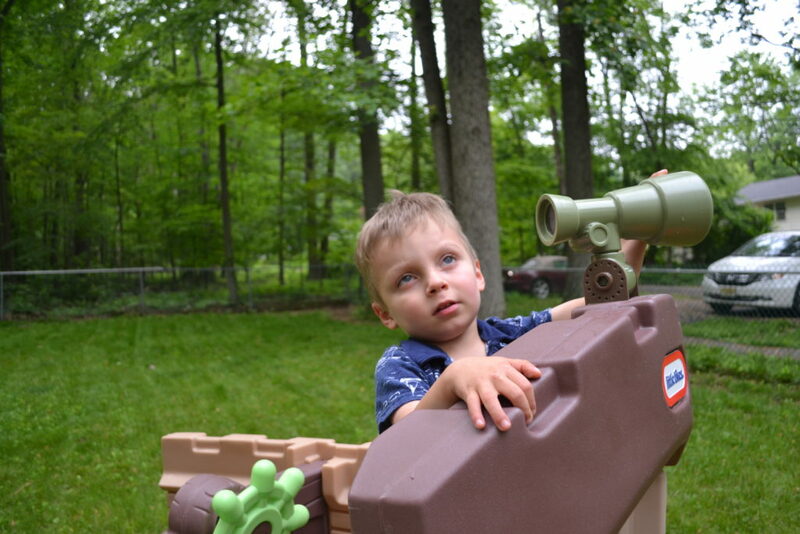 For deals and coupons, head over to Sprout’s page! Okay, so tell me – what are some ways you get more veggies into your kiddos? Let me know in the comments! Those little pouches and tins are such convenient packaging to throw in the diaper bag for play dates or trips to the parks. I actually really like the taste of these snacks, too! I love the idea of making “strawberry milk” to use up the smoothie leftovers! I also love the “honesty pledge” on those squeeze pouches. How nice to have it not be 1 tsp of the “main” ingredient hidden underneath all sorts of other stuff. I am all about being sneaky – these sound perfect! I’m fortunate that my daughter loves veggies, but I bet she’d really love these as snacks! If it were not for smoothie she I am not sure my little one would get any veggies! I love the balance of offering a veggie, but also sneaking it into other things. We’re doing mostly BLW, but just started geting some pouches for when we travel or for emergencies, and I LOVE how many healthy options are out there! We love Sprout pouches in our house! So many really great healthy options! 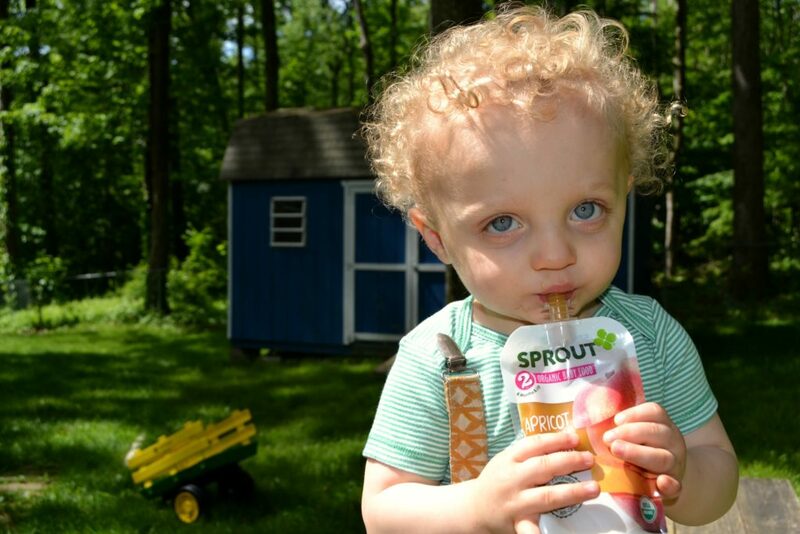 My kids love Sprout even if they are no longer in their toddler years. It just tastes great, and they feel more energized. I make sure I have the fridge stocked up with these delicious and nutritious drink. This is great. My son is finally starting to eat real food and enjoys most pouches – I need to do more with veggies and meat i them since it’s no problem getting hi to eat dairy and fruit!